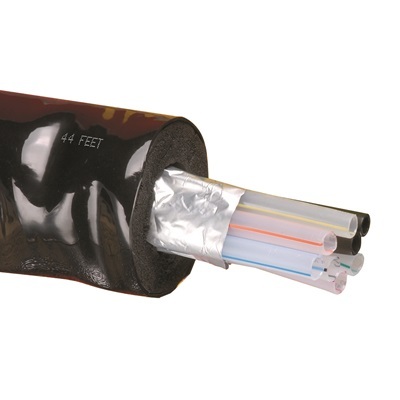 Bev-Seal Ultra Series 971 non-cabled and Series 973 cabled insulated bundles are comprised of flushable Bev-Seal Ultra Series 235 tubes, each color coded and individually numbered, and black-colored Series 221 LLDPE coolant tubes strategically placed and designed to provide optimum cooling. 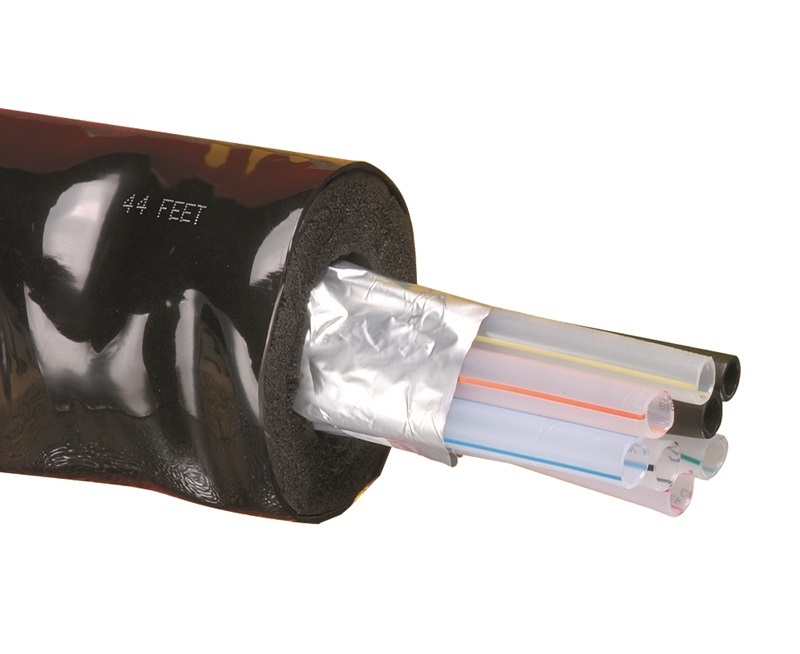 A tear-resistant aluminized film wrap over the group of tubes further enhances the insulated properties of the ¾” thick tubular foam sleeve. A black extruded jacket with slip agent to minimize friction is branded with product identification, NFS listing marks, and counter marks.